Indians Trash Australia In The Third ODI | India Vs Australia Updates Indians Trash Australia In The Third ODI: India slammed Australia in the third ODI and chased 230 comfortably. 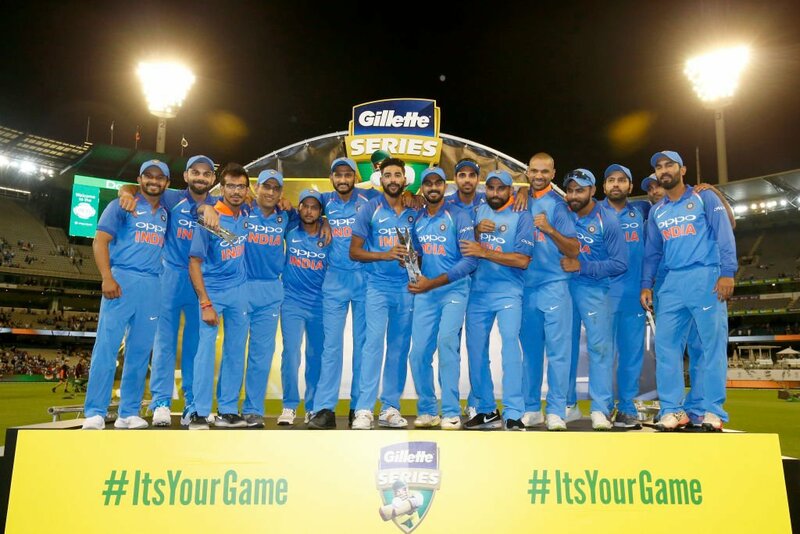 Indians Trash Australia In The Third ODI:- Team India has been dominating against Australia in their home country. The third one-day international took place today and Australia lost the toss and has been asked to bat. The home team went all out for 230 in 48.4 overs. Usam Khawaja (34), Shaun Marsh (39), Peter Handscomb (58) have been successful with the bat which fetched a respectable score for Australia. Yuzvendra Chahal (6/42) has been outstanding and Bhuvneshwar Kumar (2/28), Mohammaed Shami (2/47) have been supportive with the ball. Team India lost Rohit Sharma (9) early and Shikar Dhawan (23), Virat Kohli (46) have been decent. MS Dhoni managed to score 87 from 114 balls and remained the top scorer of the match. Kedhar Jadhav's 61 from 57 made things easy for Team India and they chased the total in 49.2 overs with utmost comfort. Jhye Richardson, Peter Siddle and Marcus Stoinis took one wicket each. Yuzvendra Chahal has been named as the man of the match.